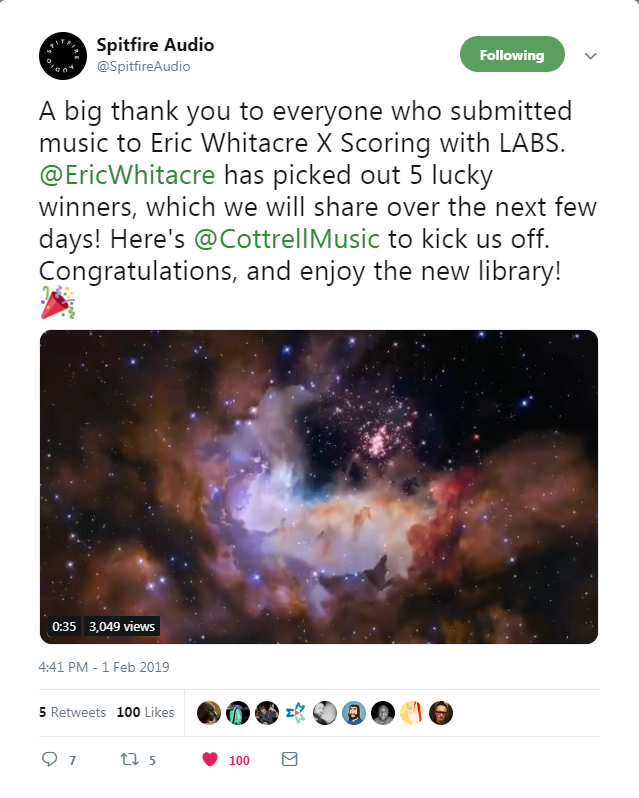 I won the LABS X Eric Whitacre competition! On testing out the LABS Choir and hearing its impressive realism mixed with a weaving, pad-like sound, my approach was simple – maintain that realism as much as possible and effect the instrument with only basic EQ, compression and reverb, with an octaver effect on one instance to create a deeper bass to complement the vast visuals. As a fan of Eric Whitacre’s work and his notorious use of complex clustered chords, I adopted a similar technique and let the fluid texture of Spitfire/EW’s creation speak for itself. As well as a signed Eric Whitacre vinyl, I recieved a free copy of the full version of the Choir instrument which is already being downloaded. 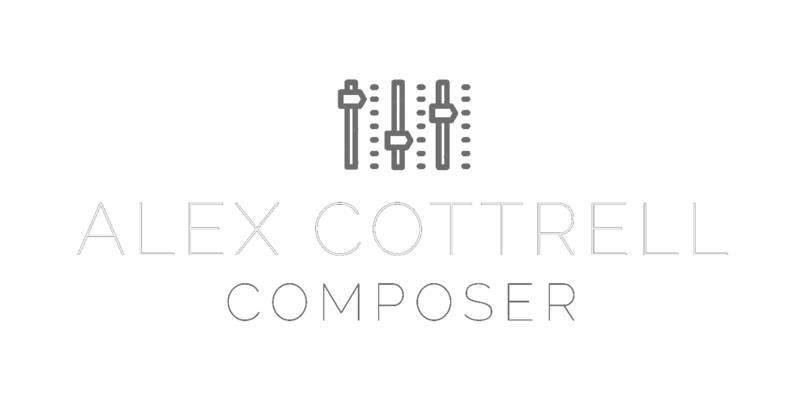 It sounds gorgeous in the examples on the website, so rest assured a composition using this new toy will emerge very soon. I thank Spitfire and Eric Whitacre for the opportunity, it gives me renewed confidence as I enter into a new year of composing. To paraphrase Wayne Gretzky – remember, you miss every shot you don’t take.